SMART Event Marketing has the tools to make connections with consumers real brands. We build real communities around brands or products with a capacity of influence in the market. We develop high-value content valence strong strategic, leading to increased interaction with the brand. Our expertise in communication and social media strategy is applied by developing relevant content, managing of the fans, building and development of unique applications for each customer. 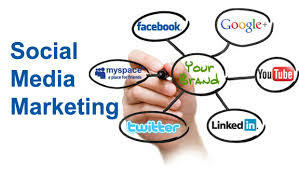 Packages offered by SMART Event Marketing to its customers include : Social Media Marketing Audit. Analysis of the current situation, competition and identify recommendations for future action to improve your presence on social networks. The suggestions we make are customized according to data obtained and specific items can base our customer to gain a competitive advantage in branding efforts. Social Media Marketing strategy. You already know that you need social media and you need help to see exactly what actions you might take in, you build a strategy based on the strengths of your company, flexible strategy in accordance with any changes in market trends you’re addressing. Implementation of the strategy. Once the lines were clearly drawn strategy comes the hard and laborious hand the application. In this phase we work our creative resources and knowledge kitchen and leads to build messages and content impact. Implementation phase requires careful planning, and flexibility or adaptability to constant feedback provided by the public immediately. Permanent measurement of the impact. A crucial activity to determine the next steps, the attitude to be adopted to arouse public interest in the message sent. A tendency appears instantaneously and can disappear immediately, and once missed a chance to increase loss means brand awareness and portfolio of clients.